The NBA season has snuck up upon us. Regular readers will be aware of what that typically means ... Another ntfof.com Team of the Year for a year that hasn't happened yet. This is a team pulled together safe in the knowledge they never have to physically step on a court . They will never be asked to collectively defend or outscore an opponent. This is a team that exists only in the heart of those who love the underdog. These guys are very much Not the Face of the Franchise. Rajon Rondo is surly. He is abrasive. He is also not a great shooter of the basketball. It is fair to say there has been a slight improvement over the years. But his shooting remains at the lowest acceptable level for him to be considered a viable option in professional basketball. He is the kinda guy who you would never want on your team — until he is on your team. Then he is not the surly and abrasive point guard. He is your team’s point guard. He is driven. He has an arrogance that propels his play. He is the player that other team’s fan hate. 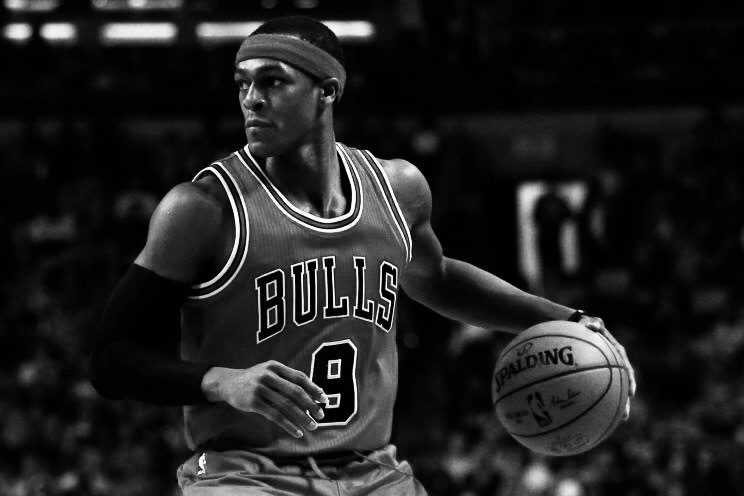 As such you begin to love Rajon Rondo. He is a beguiling, brilliant enigma that is occasionally awful. Rondo's best years were as the fourth man in the Boston Big Three era. He was the architect and primary ball handler that allowed Garnett, Pierce and Allen to succeed. His task this year is to be provider for the New Orleans Pelicans. Their overall approach to franchise-building is going against the grain of modern basketball. They are trying to blend together two large, ball-dominant 'Big Men'. This somewhat novel project is made harder as one of the duo -- Anthony Davis -- could, in the right environment, be nurtured into the league's best player. The other -- DeMarcus Cousins -- is a tremendous talent who also has the capacity to be a volatile lunatic. Adding Rajon Rondo to this mix will, at the very least, make the Pelicans watchable. The 76ers are finally where they wanted to get to. They have purposefully stunk up the NBA in order to regenerate their roster through the draft. They emerge this year with a young, inexperienced but potentially great roster. To supplement the youth movement they acquired JJ Redick. He brings incredibly reliable shooting and a composed veteran presence to a team that this year — in all likelihood — will fluctuate between functional, terrible and exciting. 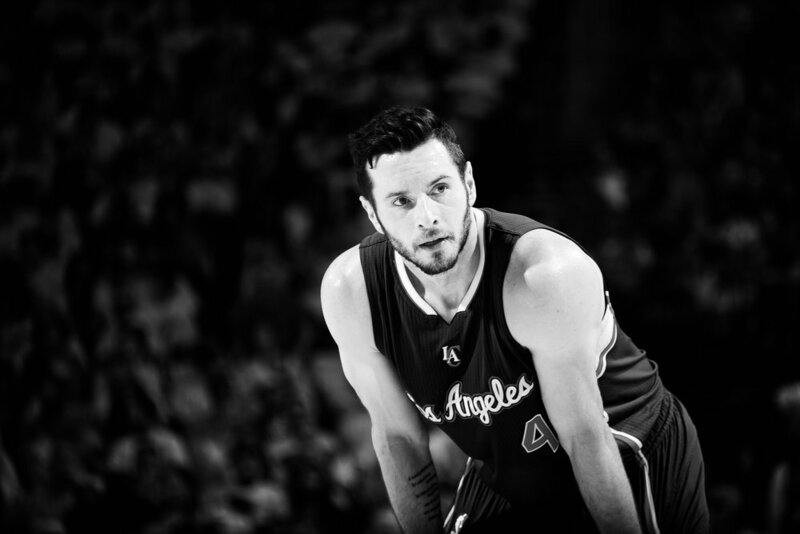 Redick is entering the later stages of his career. He is a likable, articulate guy who has, through measured media appearances begun edging towards a post-basketball career. His podcast is a great listen. His playing days are not yet over. The 76ers have invested a sizable amount of money in bring Redick to Philly. The often injured Embiid, the unknown quantity that is Ben Simmons and the highly-rated Markelle Fultz have time on their side. In Redick they also have a dependable, zero-fuss, NBA veteran team-mate. The Philadelphia 76ers may find the experience he brings will have a significant and positive impact on the trajectory of their season. It wouldn't be a ntfof.com of the Year team without a left-field, head-scratching inclusion. This is it. In a year where the Boston Celtics have drafted Jayson Tatum and acquired Kyrie Irving it is understandable that very little has been said about Semi Ojeyele. There is a relatively modest level of expectancy when a player is drafted with the thirty-seventh pick. It is impossible to accurately assess how impactful a rookie will be. Nobody can guarantee success. There is no way to definitively project the development of a young player in the NBA. Injury and opportunity will have a bearing. But when you look a Semi Ojeyele's game -- as undeniably raw as it is -- there are encouraging signs. The sample size is admittedly small. We also have to question the standard of play in Summer league and preseason games. But Ojeyele caught the eye. He is a seemingly humble kid who looks like a tireless worker. He has an impressive frame that presumably will continue to develop. He looks like he belongs at the NBA level. He also, in Brad Stevens, has an exceptionally talented coach. Stevens is not prone to bombastic claims. His quiet affirmation that he is impressed with Ojeyele's defensive ability is telling. This is an extremely early stage of his development. The work ethic and baseline talent appears to be there. Some guys get drafted as starters. Some don't get on the court at all. The minutes of play that Semi Ojeyele earns this year will be interesting to monitor. His new home is a city that is ferociously vocal in support of their teams. They value hard graft. They praise grit and toughness. There is also a sizable chip on their collective shoulder. Semi Ojeyele is nowhere near the finished article. He is unproven. He is a dark horse. But if you look closely they are signs -- very, very small signs -- Boston may have another hero in their midst. Russell Westbrook. Carmelo Anthony. Paul George. That is a trio of talent. Almost as soon as the acquisitions were announced questions began to emerge regarding the individuals ability to co-exist. This is three bona fide NBA stars that need to find a way to be a formidable team. When OKC signed Patrick Patterson in early July it looked like a solid decision. in light of the other roster moves it may be an incredibly good decision. Patterson is a precisely what this team will need. A reliable veteran that does his best work without the ball. It is not a knock on Westbrook to say he needs the ball. He is one of the leagues best players. He is incredible. (He is a ntfof.com award winner too). Melo will want the ball. So will George. The division of labor and responsibility will be worked out through time. Patterson has demonstrated throughout his career he does his best work in the paint. He rebounds well and scores in tight situations. He doesn't demand the ball in certain spots. He isn't looking to dribble his way round the court. He plays fundamental basketball very well. He is a complementary piece. We cannot know with any real certainty know if those responsible for roster construction knew Patterson would be playing on this team when they acquired him. Things can move pretty fast in the NBA. 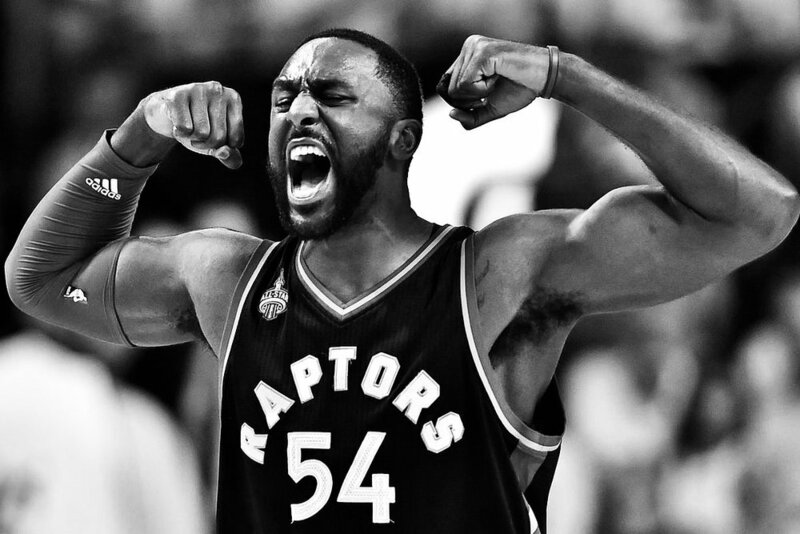 Patrick Patterson will be 'under-the-radar'. He may find himself in the shadows. But it entirely possible he will be quietly great in OKC. Kevin Love is the only player in this 'starting five' that will be on the same team as last season. It is a quirk in selection. It wasn't by design. There has been considerable player movement this offseason. Love is big name in the NBA and as such trade talk is inevitable. There was no move. He is back in Cleveland. 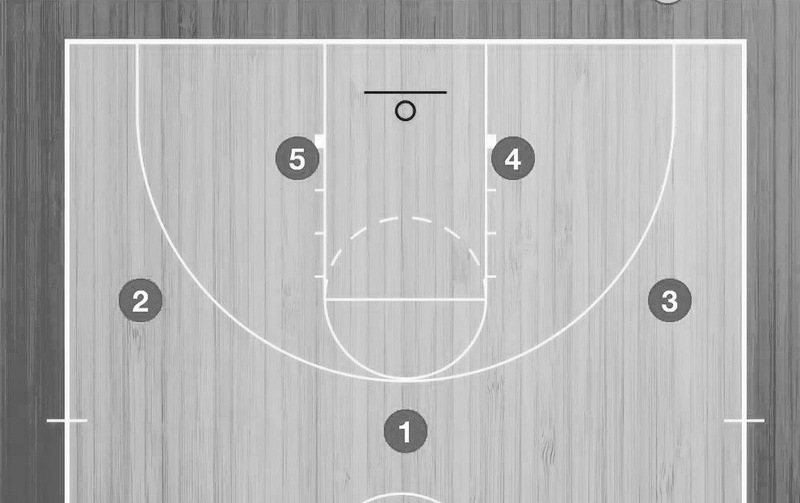 The Cavs are a team in transition. Kyrie Irving is gone. They are re-tooling for another run at the Warriors. This year Love will be primarily deployed a the center position. He knows this because LeBron James told him so. This has always been LeBron's team. As it should be. LeBron is one of the greatest to ever step onto a court. Kevin Love has had a bizarrely muted yet undeniably successful time in Cleveland. Moving from undisputed franchise star in Memphis to apparent third option on the Cavaliers has been the subject of much media speculation. Rumors of a divided locker room reared their head. He hasn't reproduced the scoring form of his Grizzlies tenure. It is hard to see how this would have been possible on a LeBron-centric team. There has been a sense that Kevin Love is on the decline -- or simply flattered to deceive prior to being a Cav. Not the Face of the Franchise rates Kevin Love highly. His change of position, the evolving roster and a return to top physical condition will give him opportunity to fully reassert himself as a high-caliber talent. The NTFeature page is the landing spot for the latest article. Typically the piece will then transfer to the Recent page. Earlier work can be found in the Archives.